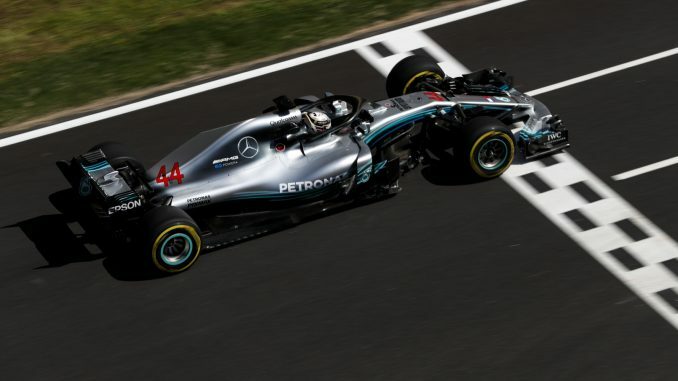 Mercedes’s Lewis Hamilton extended his lead at the top of the drivers’ championship with a dominant display at the Spanish Grand Prix. 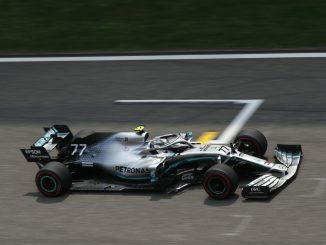 The reigning world champion started on pole position and only surrendered the lead for a couple of laps after making his pitstop, never coming under pressure from teammate Valtteri Bottas, who finished second. 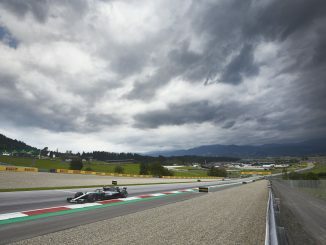 The safety car was needed on the opening lap of the race after Romain Grosjean spun his Haas, picking up Nico Hulkenberg and Pierre Gasly as his car drifted across the track. Sebastian Vettel was among the first of the leaders to pit in a bid to undercut the Mercedes duo, but Hamilton and Bottas both had enough pace to stay out longer and remain ahead of the Ferrari. Kimi Raikkonen was preparing to make his pitstop when he lost power. The Finn tried to change engine mode to keep the car going, but had to pull into the pitlane to retire. Esteban Ocon soon followed, with smoke coming out the back of his Force India. His retirement resulted in a virtual safety car period, with Mercedes and Ferrari both weighing up a two-stop strategy. Vettel came into the pitlane to change tyres again, but a slow stop meant Hamilton and Bottas were able to stay ahead without coming under pressure from Vettel on newer tyres. 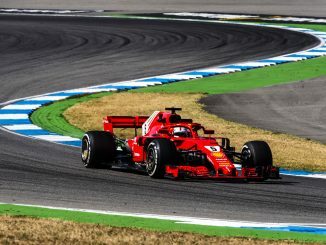 The slow Ferrari stop also allowed Max Verstappen to move ahead of the German, despite damaging his front wing by running into the back of Lance Stroll under the VSC. Daniel Ricciardo made it a double points finish for Red Bull after a rather uneventful race in fifth, finishing ahead of Kevin Magnussen and Carlos Sainz. Fernando Alonso was the only McLaren to finish the race, securing eighth after teammate Stoffel Vandoorne pulled to the side of the track late on with an apparent gearbox problem. Having secured the first points of his F1 career in Baku, Charles Leclerc claimed another top 10 finish, avoiding the chaos on the opening lap to move up from 14th on the grid, narrowly missing out on ninth after a late pass from Sergio Perez.